You've seen humans hug humans. You've seen humans hug kittens. Get ready for level three. 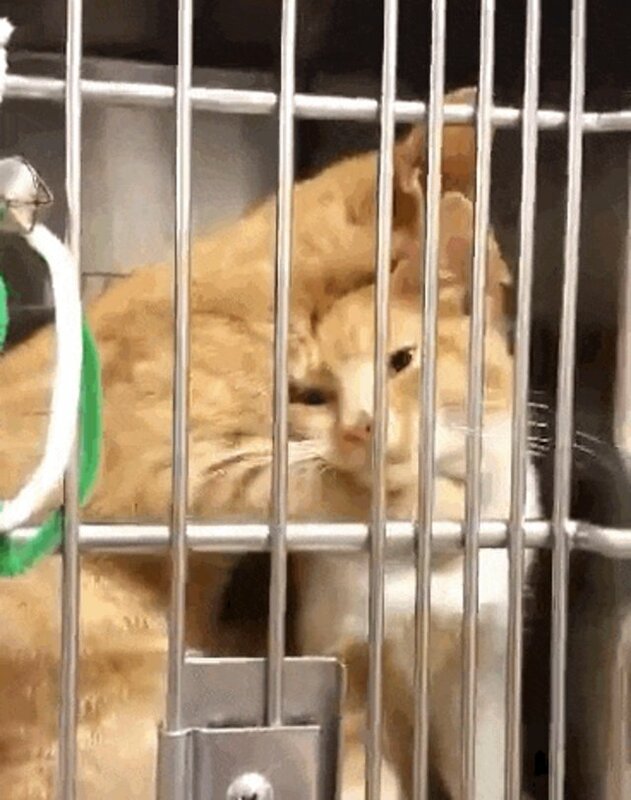 On Thursday the Cumberland County Animal Shelter in North Carolina posted a video of two stray kittens: a sweet orange tabby known as A219440 and her sister, an orange-and-white tabby named A219441, who both found comfort in each other's loving arms. 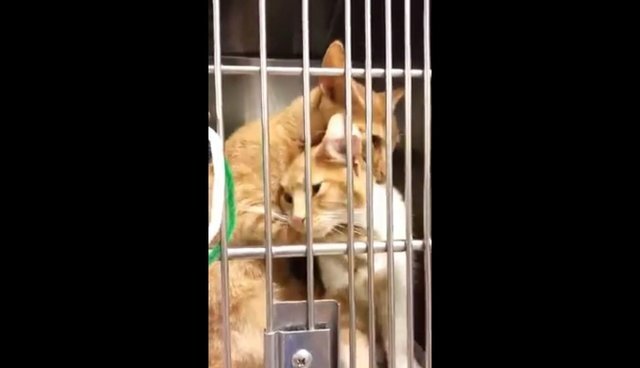 The video is gushing with cuteness but it also strikes a chord with those who know how scary being in a new shelter can be for two young kittens. The video starts with 440 gently caressing 441's fur. In her sister's arms, 441 buries her weary head deep, deep into this embrace. 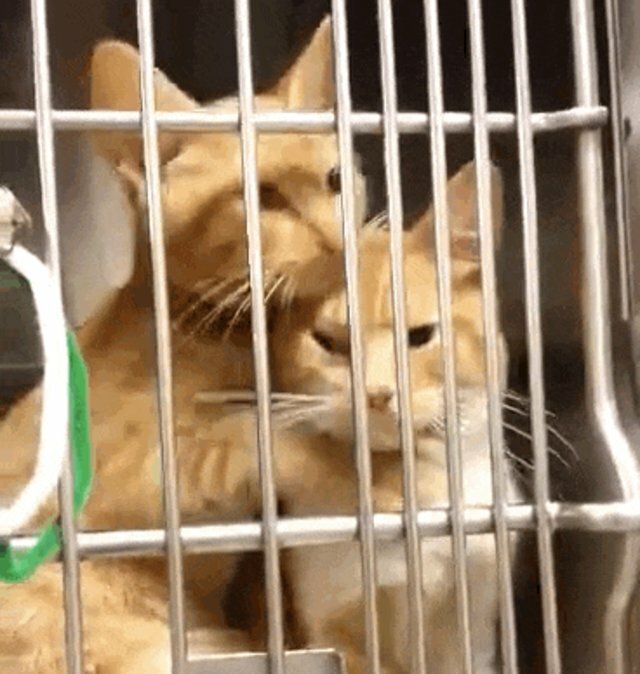 The video ends in the most perfectly disheartening way ... with both cats staring hopelessly into the camera. 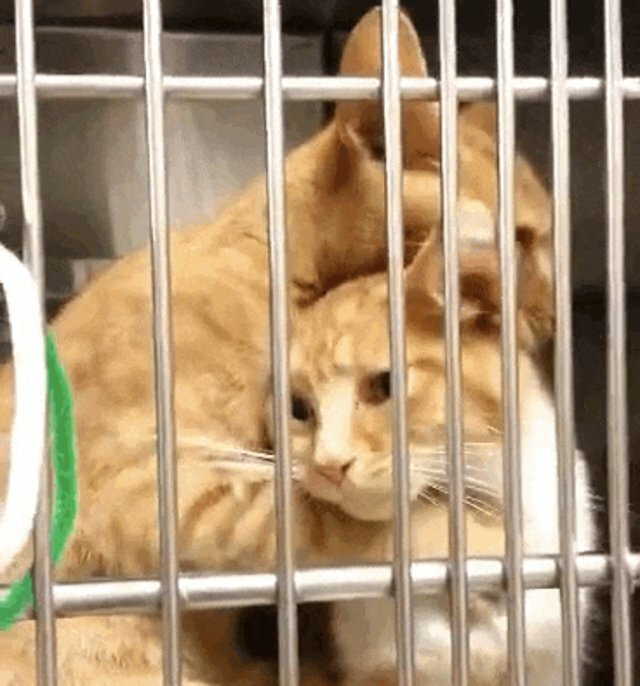 A shelter employee told The Dodo that the 5-month-old kittens are currently up for adoption through Purfect Purbaby Rescue, a local feline rescue. Purfect Purbaby set up the two kittens with a foster parent who told The Dodo, "The girls will only be adopted together." If you want to see updates on the two ginger sisters, you can visit the foster parent's Facebook. Let's spread the word about these kittens and try to find them a home where they can be loved and cared for together. If you live in North Carolina and would like the responsibility and commitment of caring for two fur balls, you can fill out an application here.